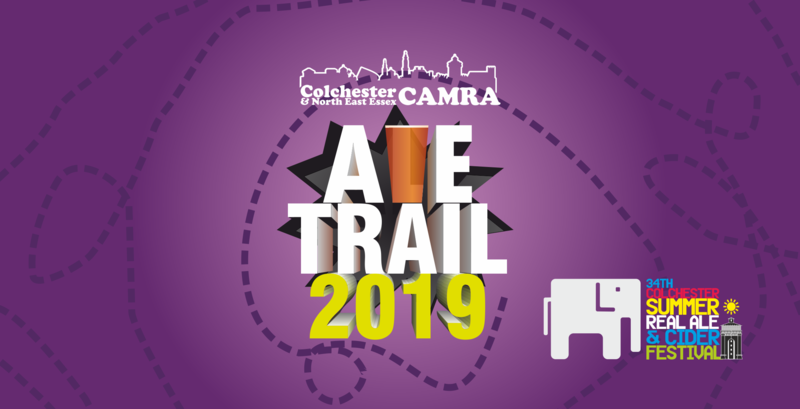 The 7th Colchester CAMRA Ale Trail runs from 1st April 2019 and finishes at the 34th Colchester Summer Real Ale and Cider Festival. Visit at least 20 of the 24 pubs on the trail, buy a pint of real ale or real cider and collect a stamp on your collectors card (pick up a card at any participating pub to get started). Bring your completed card to the festival and we’ll swap it for a £10 beer card to spend and your exclusive “I Conquered the Ale Trail Trail 2019” pin badge. We’re the Colchester branch of CAMRA – the Campaign for Real Ale. We run two festivals at Colchester Arts Centre. You’ll find not just real ale & real cider, but food, soft drinks, English wine, foreign beers and a warm welcome too.